Glistening Easter eggs in an old fashioned basket. 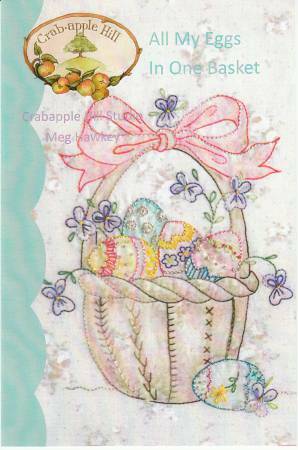 Crayontinting adds some extra dimension to this 7in x 8in Easterbasket. Cosmo Sparkles embroidery floss adds the"glisten" that looks like antique glass glitter! Perfect fora class project.